The internet has no doubt changed since 1997, growing larger, faster, more diversified and more treacherous. And as the sheer volume of web content grows, About.com, which will celebrate its 20th anniversary in April, is changing things up as well, moving away from its signature catchall style of evergreen content to more focused verticals. In order to pivot into 2016—About.com's last redesign was in 2014—the site has shifted focus from providing general interest articles to highly researched resources. "We blew up the old About.com and put it back together—better," said CEO Neil Vogel of the IAC-owned site. The team first launched Verywell, which answers all your health questions without "making you feel scared." It then added The Balance, a hub for all things personal finance. 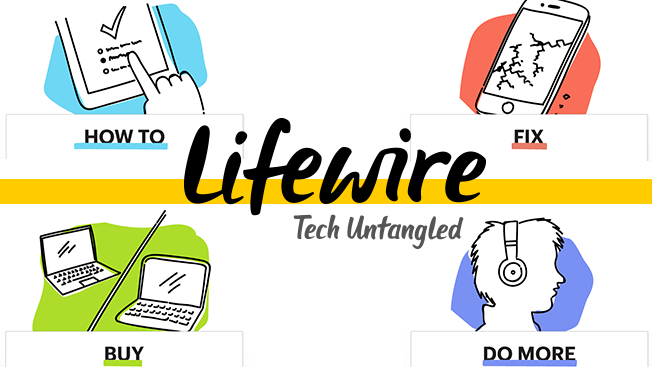 And today, it's introducing Lifewire, a tech-help site. "Algorithms didn't know how to recognize About, but they can see these as specific sites," said Vogel. Lifewire will feature 16,000 articles written by nearly 40 experts, and aims to teach readers what's new in the world of tech while explaining how to better use gadgets and devices they already own. "Topics like these can be intimidating or jargon-heavy," said Vogel. "We want to write these articles in plain English, as if your BFF happened to be an iPhone expert." Vogel likens the focused verticals to the popularity of specialty stores. "Department stores are dying," he said, "but specialty stores are actually working." About.com is still one of the top 50 biggest sites online. Vogel calls it "the giantest startup in the world." At launch, Lifewire will already be a top 15 tech site in the U.S.
"We decided to stop doing things, like breaking news or sports, that we know we can't compete in," Vogel said. "When users trust you, the algorithm trusts you and traffic is up, then advertisers will trust you as well."